The Lunching Pad menu is very limited, but a fantastic option for non-picky snackers looking to grab and go. Offerings include hot dogs (it's not Casey's, but it'll do), pretzels and drinks (frozen non-alcoholic, fountain, bottled). 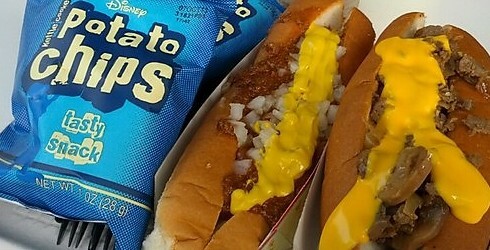 Hot dog prices are under $10, frozen beverages - $6.99, everything else is under $5. 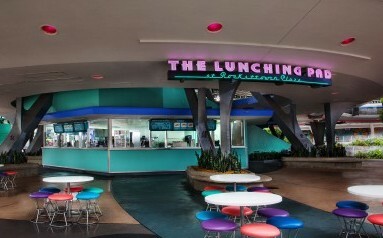 *TOP PICK - The Lunching Pad is one of the locations that offers what I call "above and beyond" pretzels. 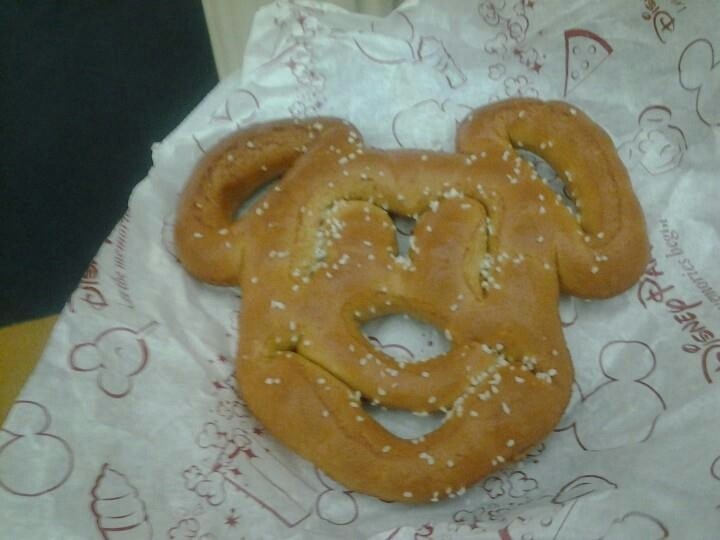 These include cream cheese stuffed pretzels ($4.49), and the famed Mickey Mouse pretzel ($4.29)!